Leading humanitarian worker Abdul Sattar Edhi is in danger of being taken hostage by a militant group in exchange for prisoners that it wants sprung free, authorities have revealed. Edhi, while talking to The Express Tribune, stated that he was informed by the authorities a few weeks back that his life was in danger. “I was told that the ‘fauj’ (Pakistan Army) had intercepted a conversation of militants where it was being discussed that I may come to be harmed,” he said. an allegation the militant group has denied. Crime Investigation Department (CID) Senior Superintendent Police (SSP) Chaudhry Aslam confirmed that the intelligence reports they had received sometime back indicated that Edhi may be kidnapped by militants in exchange for either “some of their men in custody” or a “large ransom amount”. “There was a letter in which there were three names, which included my name, Malir SSP Rao Anwar’s and Edhi’s,” he said. 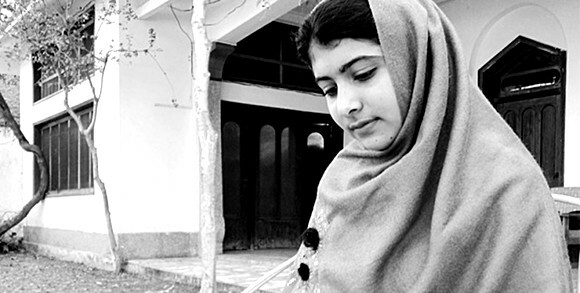 This is the first time that Edhi’s name has been mentioned in a militant group’s hit list. After SSP Anwar was attacked in a suicide bomb in April, it was decided that Edhi’s security would be beefed up as a precautionary measure. Since the threats surfaced, Edhi is being provided with round-the-clock police security — with two official guards escorting him everywhere he goes. “Never before in his life had Edhi ever asked or given security by the state,” the spokesperson said. Currently, two policemen from the Kharadar police station have been deployed for his security who work in two shifts of 12-hours each, according to Station House Officer (SHO) Agha Asadullah. “We can increase the number of policemen, if need be,” he said. Edhi himself appears irritated by the presence of policemen near him at all times — especially given that he has to keep the Kharadar police station informed about his movements constantly. “I don’t want any of this security. I really feel there’s no need for it,” he said modestly. 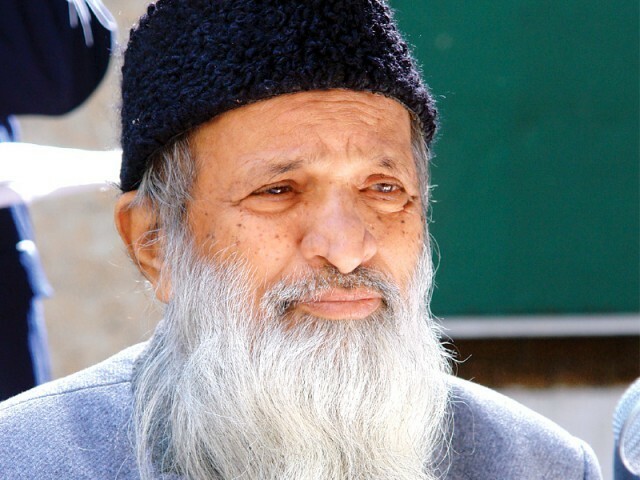 Although he is being asked to restrict his movements as a precaution, Edhi said he won’t allow anything to stop him. “I am going to Hyderabad next to do some relief work there,” he said. His son Faisal revealed that a three-member delegation of the local chapter of the Tehreek-e-Taliban Pakistan (TTP) recently came to the Edhi office to clarify their position about the alleged threats. Pakistanis for Peace Editor’s Note– The Taliban have once again showed their true colors by threatening a man of Mr Edhi’s caliber. To threaten a person who is akin to Mother Teresa for Pakistan, a living saint, shows us how far off the cuckoo’s nest they really are. Just another reason for us here at Pakistanis for Peace to have great disdain for this group of people. Nine years into the war in Afghanistan, the United States should have a clear idea of Pakistan’s interests there. It’s time to take these lessons to heart — and start applying the right incentives. As recent intelligence findings reported in late October confirm, Pakistan remains at the heart of the U.S.-led coalition’s problems in Afghanistan — where the war is hardly lost, yet hardly headed for clear victory either. Indeed, Pakistan arguably remains the most complex ally the United States has ever had in wartime, making President Franklin D. Roosevelt’s challenges in dealing with Stalin (a far worse leader, but at least one who knew the outcome he wanted) seem simple by comparison. Nine years into the campaign, we still can’t clearly answer the question of whether Pakistan is with us or against us. America needs bold new policy measures to help Islamabad — in all its many dimensions and factions — make up its mind. The crux of the problem is this: Despite allowing massive NATO logistics operations through its territory and helping the United States pursue al Qaeda operatives, Pakistan tolerates sanctuaries on its soil for the major insurgencies fighting in Afghanistan. These include the Afghan Taliban (otherwise known as the Quetta Shura Taliban because its principle base remains in Quetta in the Pakistani province of Baluchistan) as well as the Haqqani and Hezb-i-Islami Gulbuddin (HiG) networks. The Haqqanis straddle the border between the Afghan provinces of Khost, Paktia, and Paktika as well as North Waziristan and other tribal areas within Pakistan; HiG is further north, operating in and around the Khyber Pass connecting Kabul and Jalalabad in Afghanistan with Peshawar and points east in Pakistan. Thus, all three major Afghan insurgent groups have home bases in Pakistan, and despite the occasional drone strike are generally beyond NATO’s reach as a result. Pakistan has done some worthy things against extremists in its remote northern and western areas in recent years. Specifically, it has recognized the so-called Pakistani Taliban (the Tehrik-i-Taliban Pakistan, or TTP) as a mortal threat to the Pakistani state and responded accordingly. After suffering hundreds of bombings and assassination attacks by the TTP, including the killing of former Prime Minister Benazir Bhutto in 2007 and several thousand casualties a year to its troops and citizens since roughly that time, it has responded in force, particularly over the last year and a half or so. It has swung about 100,000 troops previously guarding the border with Pakistan’s nemesis India to the northwestern tribal regions and cleared several major areas including South Waziristan, Bajaur, and the Swat Valley. This is all to the good. Pakistanis argue, however, that limited numbers of ground troops combined with the past year’s admittedly devastating floods prevent them from doing more. Quetta, North Waziristan, and other key places remain dens of iniquity, havens for extremists who continue to attack NATO and Afghan troops across the border and then return home for rest, regrouping, and fresh recruiting. Major command-and-control hubs are permanently located within Pakistan as well, and key insurgent leaders like Mullah Omar (to say nothing of Osama bin Laden) probably remain safely ensconced on Pakistani territory where U.S. forces cannot get at them. But even if limited Pakistani capacity is part of the problem, there’s more at stake. 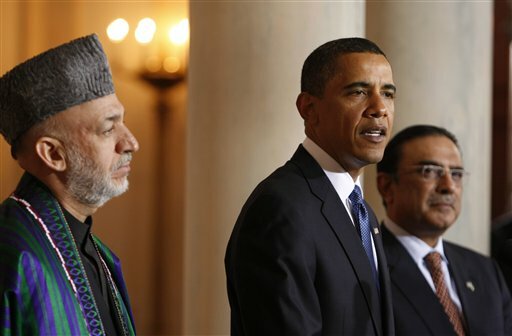 Pakistan worries that President Barack Obama’s promise to start reducing U.S. troops in Afghanistan come July will lead to anarchy and civil conflict next door, and it is retaining proxies that it can use to ensure that its top goal in Afghanistan — keeping India out — can be accomplished come what may. Pakistan would rather have the Taliban and the Haqqanis back in power, especially in the country’s south and east, than any group like the former Northern Alliance, which it views as too close to New Delhi. It is this strategic calculation, more than constrained Pakistani resources, that constitutes Obama’s main challenge in Afghanistan. And it could cost him the war. Under these circumstances, part of the right policy is to keep doing more of what the Obama administration has been doing with Pakistan — building trust, as with last month’s strategic dialogue in Washington; increasing aid incrementally, as with the new five-year $2 billion aid package announced during that dialogue; and coordinating militarily across the border region. But Obama also needs to think bigger. First, he needs to make clear America’s commitment to South Asia, to wean Pakistan away from its current hedging strategy. Obama has frequently used general language to try to reassure listeners in the region that there will be no precipitous U.S. withdrawal next summer. But few fully believe him. Hearing stories like Bob Woodward’s accounts of how the vice president and White House advisors have generally opposed a robust counterinsurgency strategy in favor of a counterterrorism-oriented operation with far fewer U.S. troops, they worry that next summer’s withdrawal will be fast. Obama needs to explain that he will not revert to such a minimalist “Plan B” approach under any imaginable circumstances. More appropriate would be a “Plan A-minus” that involves a gradual NATO troop drawdown as Afghan forces grow in number and capability, without necessarily first stabilizing the entire south and east, should the current strategy not turn around the violence by next summer or so. This would represent a modification to the current plan rather than a radical departure. The president can find a way to signal that this is in fact his own thinking, sooner rather than later — ideally before the year is out. Second, Obama should offer Islamabad a much more expansive U.S.-Pakistani relationship if it helps win this war. Two major incentives would have particular appeal to Pakistan. One is a civilian nuclear energy deal like that being provided to India; Pakistan’s progress on export controls in the wake of the A.Q. Khan debacle has been good enough so far to allow a provisional approval of such a deal if other things fall into place as well. Second is a free trade accord. Struggling economically, Pakistan needs such a shot in the arm, and a trade deal could arguably do even more than aid at this point. But the key point is this: Pakistan should be told that these deals will only be possible if the United States and its allies prevail in Afghanistan. Small gestures of greater helpfulness are not adequate; bottom-line results are what count and what are needed. If Afghanistan turns around in a year or two, the deals can be set in motion and implemented over a longer period that will allow the United States to continually monitor subsequent Pakistani cooperation in the war. It may seem harsh to Pakistan that America would put things in such stark terms — but in fact, it is not realistic that any U.S. president or Congress would carry out such deals if the United States loses the war in Afghanistan partly due to Pakistani perfidy. As such, these terms are really just common sense, and they are based on political realism about America’s domestic politics as well as its strategic interests. America’s current strategy for the war in Afghanistan is much improved. But it is not yet sound enough to point clearly toward victory. The most crucial problem is the role of Pakistan in the war, and so far, the Obama administration is not thinking creatively enough about how to fix it.